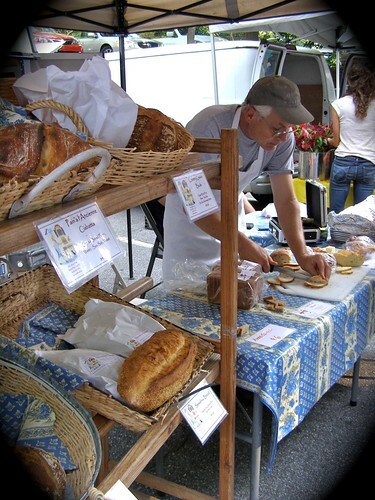 Steve Bardwell, the baker, slices some tastes for his customers and would-be customers. I overheard him mention that he baked 180 loaves last evening in preparation for today's market. Normally he's sold out by noon. He's there every Saturday, April through mid-December.